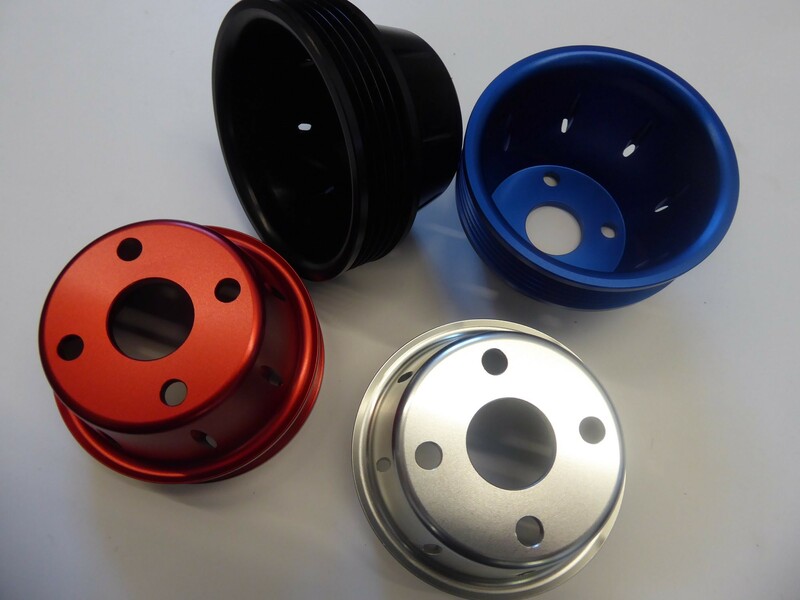 These ultra lightweight, precision and super strong CNC'd water pump pulleys are available in the common size's:- Small and Large Single "V" and the MPI Multi "V" configuration. 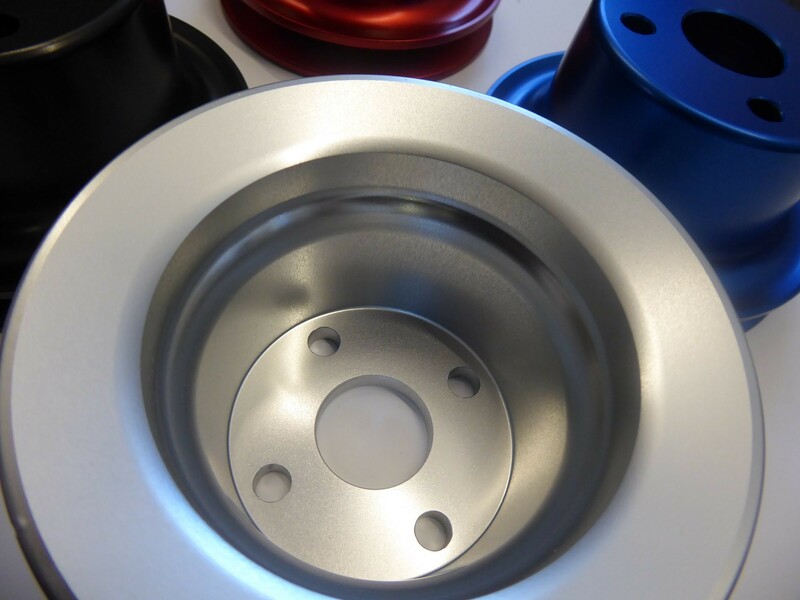 Designed and manufactured in house. 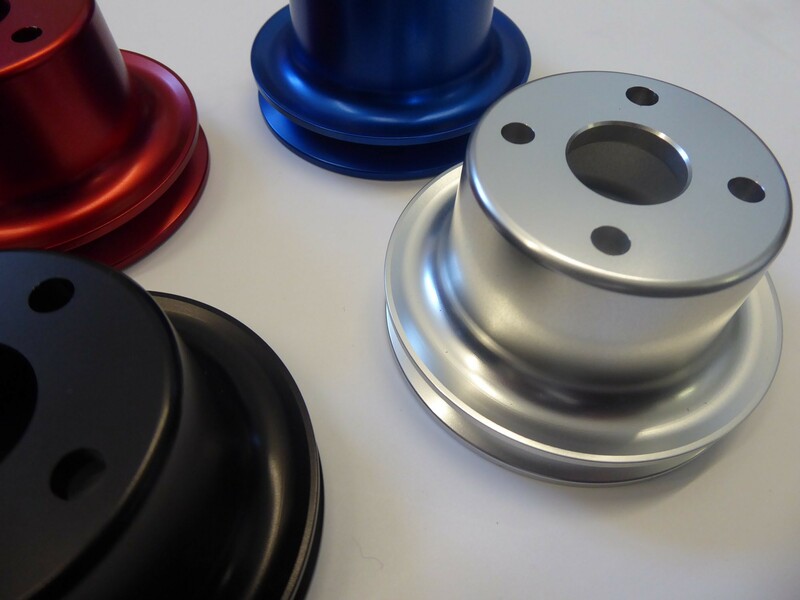 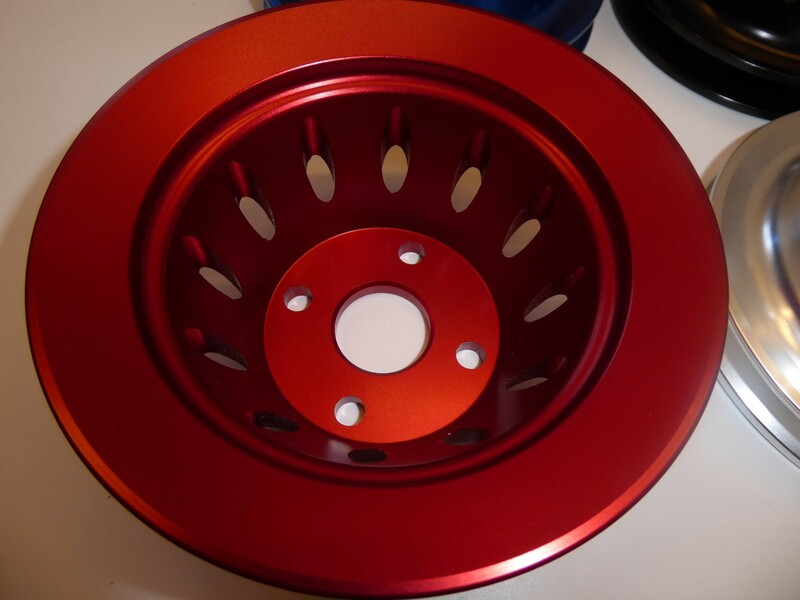 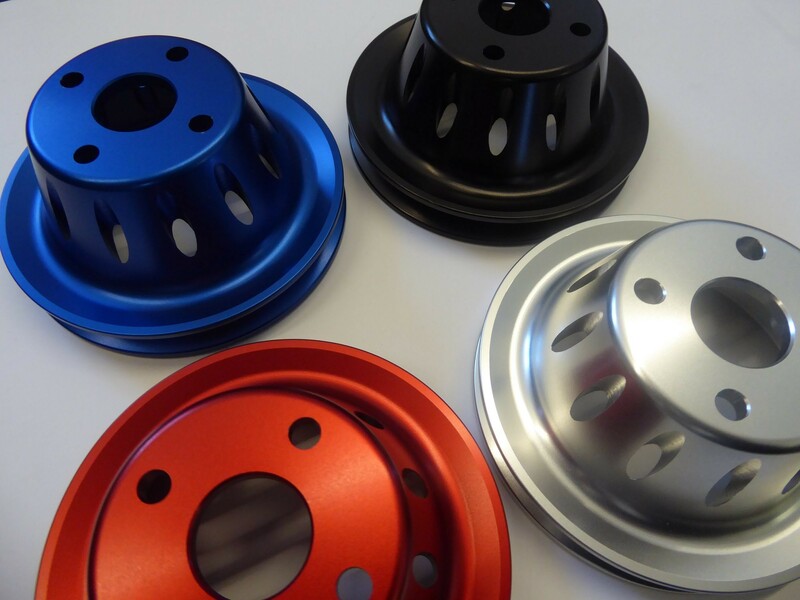 The pulleys are anodised and available in Silver, Black, Red or Blue. 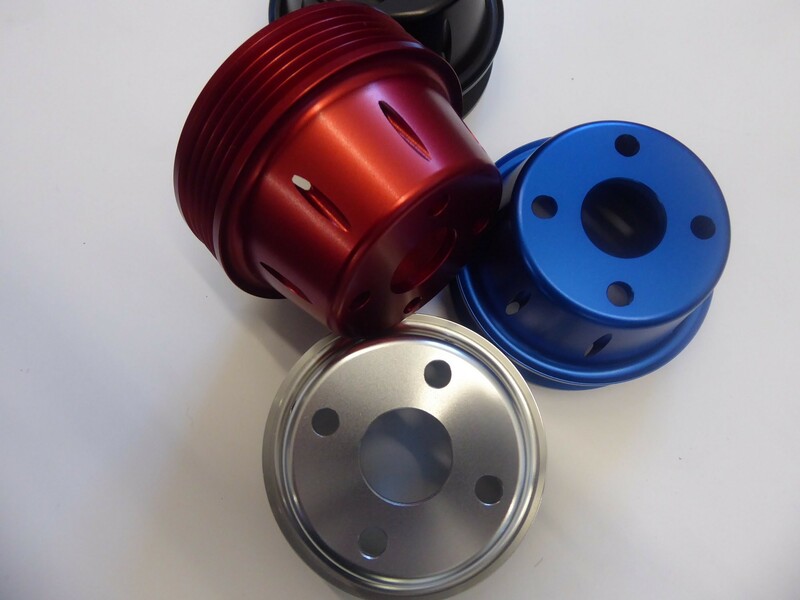 As used in nearly all of our in-house built crate engines.